Colloque Desert Tourism : delineating the fragile edge of development, à la Harvard Graduate School of Design, le 5 avril 2007. « Redéfinir les enjeux et les limites du développement durable ». Ce colloque entend analyser les relations entre le tourisme, le développement social, l’architecture et les paysages des régions arides. Oases as Socio-ecological Landscapes, The Jerid as an Example (Les oasis pris comme paysages socioécologiques, Exemple du Jérid). Landscape in danger ? Les actes de la conférence seront publiés : voir cet article The Saharan Oasis under the Challenge of its Landscape, The Jerid as an Example. The history and the structure themselves of oases recall us this obvious fact : the nature of gardens and palm groves is artificial ; to be more precise, anthropic. Surrounded by the desert, oases are usually the combination of agricultural spaces and dwellings. Their existence itself is not necessary, but the quite common shape and structure of these ecosystems in Sahara are answers, to the severe desert pedoclimatic conditions, selected and implemented by generations of gardeners. Therewith, do we circumnavigate the oasis landscape issue ? Certainly, oasian landscapes are “built nature”, but we maybe have to find out now by whom they were built… By “local practices”, I do not restrain my analysis to the indigenous practices but I broaden it to the nowadays-effective actors of these spaces. If I illustrate my lecture with the case of Jerid in Tunisia, I have to convene in my analysis actors of tourism and actors of development. All, with local people, converge to define what is an oasis, what “it is for”, how to read these spaces, and this polyphony is not without effect on the share of the resources : water, land, labor and even ideas of the relation to environment. If we focus on tourism, its impact is consequent on many daily local aspects, at first the use of the scarce water (to be used by hotels or to embellish the scenery), the labor (diverted from agriculture), but even on the definition of the oasis : a place to work or a place to stroll ? The usual local definition of the garden manages a place for leisure and work unlike European tourists who underestimate the anthropic quality of a palm grove. An ethnoecology of the oasis landscape deals with the cross-actions of practices and narratives of various actors of this specific desert space. The competition on water is obvious : water is needed for agriculture, but is needed too for the tourism sector. Tourism Service officers accord their view with international standards and consider that a swimming-pool is required to satisfy European tourist expectations. In the Jerid, the mayor of Tozeur (the capital of the region) went even further : he offered a golf course in the desert ! Along thalassotherapy and cultural tourism, golf is part of the new strategy decided by the Tunisian government to diversify the tourist product. 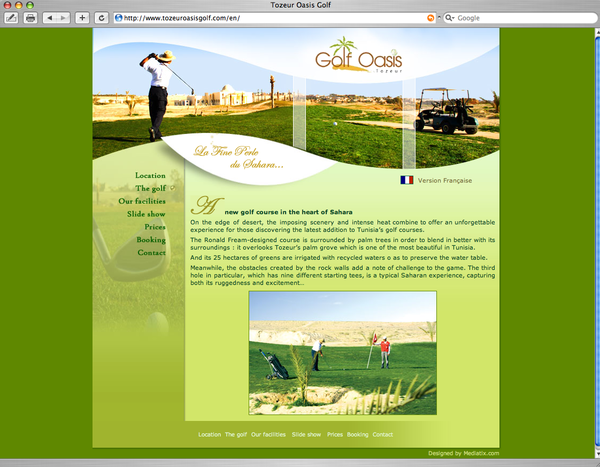 What does the Tozeur Golf website say ? The golf course “overlooks Tozeur’s palm grove which is one of the most beautiful in Tunisia. And its 25 hectares of greens are irrigated with recycled waters to preserve the water table.” In two sentences, you have two major points : the posture to the local nature (overlook it ! ), and for the sake of tourists’ conscience the ecological concern : water is recycled. 04 et 05 avril 2007. Évènement sous le patronage du Department of Urban Planning and Design. Cet article a été lu 7585 fois. Dernière mise à jour de cette page le vendredi 28 mars 2008 à 10:06:30. //// -----> Citer cette page? 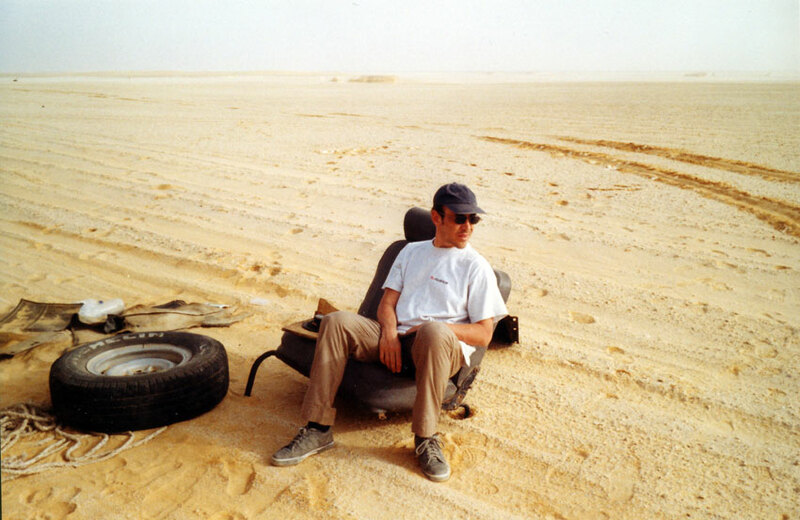 Vincent Battesti, "Les oasis pris comme paysages socioécologiques, Exemple du Jérid" [en ligne], in vbat.org anthropoasis, page publiée le 5 avril 2007 [visitée le 20 avril 2019], disponible sur: http://vbat.org/spip.php?article329.